Republican lawmaker Allen Christensen is pushing a bill in the Utah Senate that would shrink the Medicaid expansion his state's voters approved. "They are not obligated to balance the budget," he argues. "We are." Utah residents may have thought they were done fighting about Medicaid expansion last November. But when Utah lawmakers opened a new legislative session in late January, they began pushing through a bill to roll back the scope and impact of an expansion that voters approved by in a ballot measure. "We voted for this on Nov. 6. We were very clear about what we wanted," says Andrew Roberts, a spokesman for Utah Decides, the group that organized the Medicaid expansion referendum, known as Proposition 3. The voter-approved measure would extend coverage to 150,000 uninsured people in the state. "We are frustrated, and I think Utahns are frustrated," Roberts says. 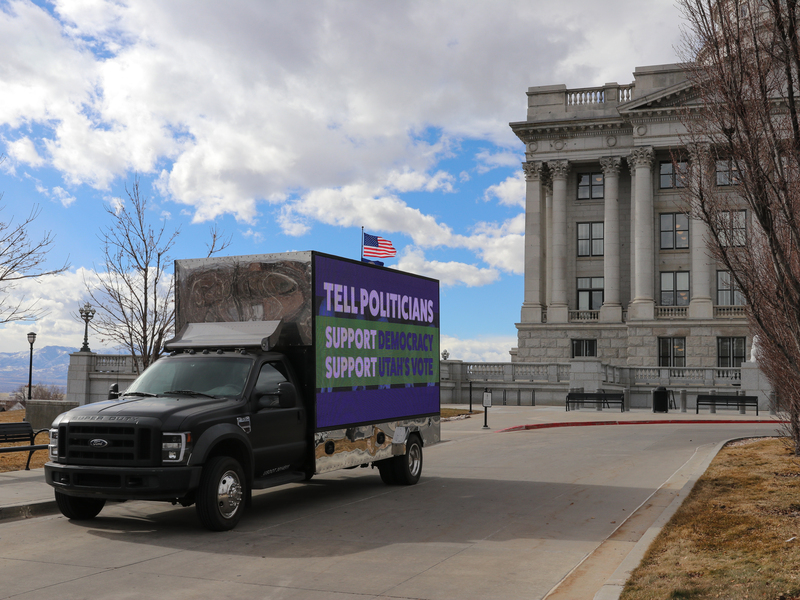 He's so frustrated that his group hired a billboard truck to drive in circles around the Capitol building and through the snowy streets of Salt Lake City and its suburbs. Signs on the sides of the truck flash phrases in LED lights, including "Support democracy. Support Utah's vote." A looping video advertisement urges residents to call lawmakers "who don't respect the will of the people." After six years of talking about Medicaid expansion, voters approved the ballot measure on Nov. 6, with 53 percent in favor. But the issue erupted again when the legislative session started Jan. 28. Similar legislative efforts to curtail expansion are also happening in Idaho, where voters passed a Medicaid expansion initiative in November. Sixty-one percent of voters were in favor. Idaho lawmakers are considering ways to scale that program back. In politically and fiscally conservative Utah, legislators argue the 0.15 percent non-food sales tax that voters approved won't be enough to pay for Medicaid expansion. So they'll pass an expansion, but only a very limited one. Voters "wanted Medicaid expansion and that's what we're doing," says Republican state Sen. Allen Christensen. But, he adds, the voters "didn't fill in the proper blanks. We are filling in those blanks for them. They are not obligated to balance the budget. We are." A billboard truck showing advertisements in support of expanded Medicaid has been parading past the state Capitol in Salt Lake City. Christensen is leading the rollback effort in Utah. 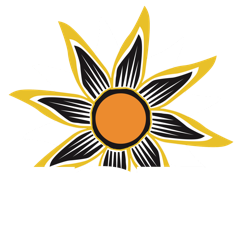 His alternative proposal, SB 96, would cap the number of individuals who would qualify for Medicaid, add work requirements and lower the annual income limit. Prop. 3 supporters had wanted the coverage available for people who made up to 138 percent of the federal poverty level, or about $16,000 a year. But Christensen's bill would offer Medicaid coverage only to people who made less than 100 percent of the federal poverty level, or about $12,000 for an individual. Making those changes would require the state of Utah to get approval for two federal waivers from the federal Centers for Medicare and Medicaid Services. Proposition supporters point out that similar requests from other states have been denied. "From the perspective of voters, I think voters have a right to be furious right now," says Matt Slonaker, executive director of the Utah Health Policy Project, another group that has supported Medicaid expansion. Slonaker says changing the scope of Prop. 3 would mean fewer people getting health coverage, and the state would receive less money from the federal government. He also fears it could make voters feel disillusioned. "Why would voters ever want to pursue ballot initiatives and direct democracy if the legislature's just going to repeal it anyway?" Slonaker asks. While some Utah lawmakers, such as Christensen, describe being "philosophically opposed" to Medicaid expansion, much of the political debate in Utah is about how much expansion will cost, and whether the new sales tax will pay for it. Supporters point to the fiscal experience of other states. "You should think of Medicaid expansion as no different than if you said, 'Oh, hey, somebody's going to go open up a factory," says Bryce Ward, an economist at the University of Montana, in Missoula. "And that factory is going to bring, in the case of Montana, $600 million of outside money into the state that we're going to pay to workers here." Ward recently published a report on the economic impacts of Medicaid expansion in Montana during the first two years of that program. He says it brought in about $600 million dollars in new funds to the state per year. That money supported about 6,000 jobs, he adds, or about $350 million in additional income for residents. Ward says states like his also can take advantage of savings, because Medicaid expansion makes providing health care to certain groups, like prisoners, more affordable. While states do have to pay 10 percent of the cost of expanded Medicaid (the federal government covers 90 percent — a more generous "match" than traditional Medicaid), the combination of savings and economic growth meant that, in the case of Montana, the program basically pays for itself, Ward says. "The benefits that people in Utah have is that people like me in other states have done the work trying to figure this out," he says. "Or at least get some ballpark estimates of it." 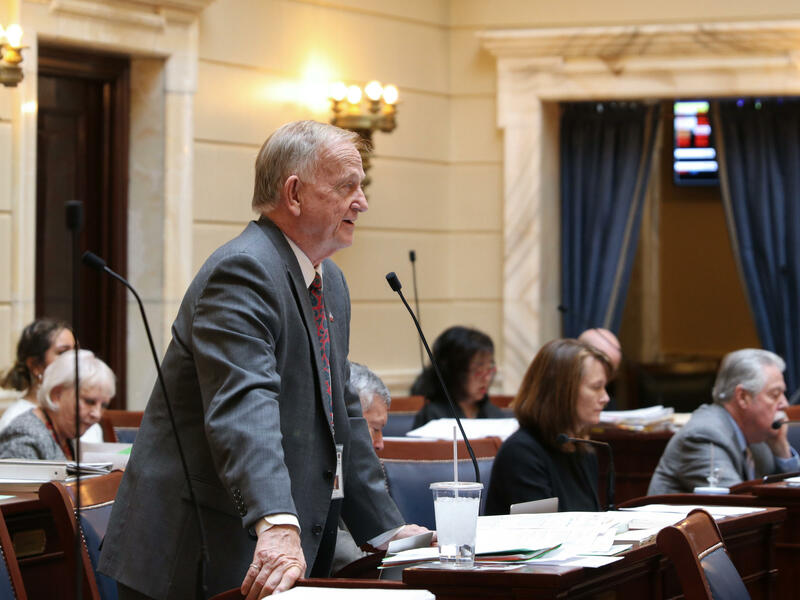 So far, Utah lawmakers remain unconvinced by studies like Ward's. The bill to restrict Medicaid expansion is moving fast, and could reach the governor's desk as soon as next week. This story is part of NPR's reporting partnership with KUER and Kaiser Health News, an editorially independent program of the Kaiser Family Foundation that is not affiliated with Kaiser Permanente. Utah residents may have thought they were done fighting about health care back in November. That's when voters approved a ballot measure to expand Medicaid to more uninsured adults, but now Utah lawmakers want to roll that back. KUER reporter Erik Neumann has been tracking this renewed debate inside the Capitol and also outside on the snowy streets of Salt Lake City. ERIK NEUMANN, BYLINE: Health care advocates are so mad they've hired a billboard truck to drive around the city urging voters to call their lawmakers. I jumped into the truck to chat with driver Gregory Shalfont as he was doing laps around the Capitol building. It's funny. It's kind of an old-school approach to getting the message out there. We're literally just in, like, a big U-Haul with an electronic billboard on the outside circling it (laughter). GREGORY SHALFONT: It is, and it's really effective. It shows up real well day or night, and we have sound attached to it. NEUMANN: Shalfont was working for Utah Decides, the group that helped pass Proposition 3 last November. Utah voters hoped that after six years of talking about Medicaid expansion, it was finally done. They approved it by 53 percent. But when the legislative session began last week, the issue erupted again. Republicans dominate in Utah, and they want to scale back the Medicaid expansion. Some say repeal it. NEUMANN: That's Andrew Roberts with Utah Decides inside the Capitol. His group says with full Medicaid expansion, 150,000 uninsured residents could finally get coverage. ROBERTS: We are frustrated, and I think Utahns are frustrated. NEUMANN: The same thing is happening in Idaho. Voters passed Medicaid expansion last November, and now their lawmakers are also trying to roll it back. State Senator Allen Christensen, a Republican, is leading the rollback effort in Utah. He says his bill would still expand Medicaid but would cap the number of patients who would qualify. He claims that what the voters originally passed in November would bust the state's budget. ALLEN CHRISTENSEN: They wanted Medicaid expansion, and that's what we're doing. They didn't fill in the proper blanks. We are filling in those blanks for them. They are not obligated to balance the budget. We are. NEUMANN: Christensen's bill says instead of making around $16,000 per year to qualify, you could make at most 12,000. And it would add work requirements. MATT SLONAKER: From the perspective of voters, I think voters have a right to be furious right now. NEUMANN: That's Matt Slonaker. He leads the Utah Health Policy Project, a group that supported expansion. He says changing Proposition 3 would mean fewer people get health coverage, and the state would get less money from the federal government. Not only that, it could make voters disillusioned. SLONAKER: Why would voters ever want to pursue ballot initiatives and direct democracy if the legislature's just going to repeal it anyway? NEUMANN: No one claims that Medicaid doesn't cost money. That's why the Utah ballot question included a new sales tax increase to pay for it. And supporters point to the fiscal experience of other states. Economist Bryce Ward studied what happened after Montana expanded Medicaid in 2016. Ward says the Medicaid expansion brought in about $600 million in new funds for Montana each year, and that money rippled through the state supporting about 6,000 additional jobs. BRYCE WARD: You should think of Medicaid expansion as no different than if you had said, oh, hey, somebody's going to open up a factory - right? - and that factory is going to bring, you know, in the case of Montana, $600 million of outside money into the state that we're going to pay to workers here. NEUMANN: So far, Utah lawmakers remain unconvinced by studies like Ward's. The bill to restrict Medicaid is moving fast and could reach the governor's desk as soon as next week. For NPR News, I'm Erik Neumann in Salt Lake City. (SOUNDBITE OF WAX TAILOR FEAT. ALOE BLACC SONG, "TIME TO GO") Transcript provided by NPR, Copyright NPR.